In a world where we are all trying to lessen the impact we have on the environment, one of the most significant influences that seem almost unavoidable is plastic. Going plastic is virtually impossible as it infiltrates so many aspects of life. From a plastic casing on a smartphone, to a plastic computer keyboard, to plastic bags, food wrap and bottles, it is hard for a day to go by without encountering plastic. While plastics have been around for less than a century, they have dramatically changed the way we live. The benefit of plastic is it is incredibly hardwearing and designed to last for a very long time. However, this benefit has quickly become a problem for our ecosystem. While some plastics can be recycled, a significant proportion ends up in landfill sites. The plastic pollution can be dangerous for our health and the environment. Many plastics are toxic and can have an adverse effect on our health. Furthermore, with so much plastic waste in the oceans, it is affecting marine life, birds, the food chain and the ecosystem as a whole. Due to the significant impacts that plastic has on the world, ecosystems and environment, it is essential to reduce our plastic use as much as possible. If you need further encouragement to limit your plastic waste, here are fifteen plastic packaging statistics that will scare you into thinking more about your plastic consumption. Drinks bottles are one of the most popular forms of plastic packaging which ends up as wastage. Frighteningly 20,000 plastic bottles are bought worldwide every single second. Sadly, less than 50% of these are recycled. Just 7% of the plastic bottles are transformed into new bottles. When you consider that 480 billion bottles were sold in 2016 and less than 50% of these bottles were recycled, that means there were over 240 billion bottles that went into a landfill in a single year. The amount of plastic packaging that is thrown away every single year is enough in length to circle the globe four times over. Furthermore the rate of plastic wastage is growing at a rate of 9% every year. Naturally, landfill does not help the problem, it just delays the problem for future years. Since the beginning of plastic production, it is estimated that at least 8.3 billion tonnes of plastic have been produced. From this, at least 6.3 billion tonnes of plastic waste has been created and almost 80% have been put to landfill or is in the natural environment, such as the oceans. With current production rates and continued mismanagement of plastic waste across the world, there will be 12 billion tonnes of wasted plastic in a landfill by 2050. With a single plastic bottle taking 450 years to biodegrade, does the earth have enough space for all of our plastic waste? There is more plastic in the oceans than wildlife. In fact, plastic outnumbers sea life by six pieces for every one animal. Furthermore 90% of the pollution floating in the ocean is plastic which accounts for 46,000 pieces of plastic in every single square mile. Ocean plastic is significantly impacting the environment and marine ecosystems. Plastic has entered the food chain with toxic plastic being found in birdlife as well as fish and sea mammals. From a study in the journal Science, they found that 192 coastal countries are adding to 10 million tonnes of plastic ending up in the sea each year. There are five gyres in which plastic waste accumulates in the ocean, these gyres have a much higher concentration of plastic than anywhere else in the ocean due to the circular currents. 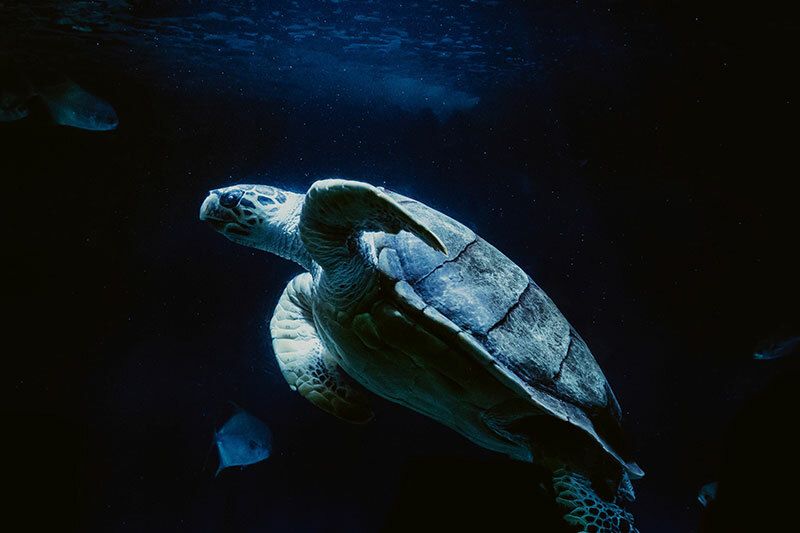 Due to the tiny fragments of plastic in the ocean, all sea turtle species and 44% of seabird species have been found to have plastic in their system or around their bodies. This also includes 22% of cetaceans too. In a single 100-metre stretch of coast in the UK, you can expect to find over 700 parts of plastic packaging waste. With research conducted by the Great British Beach Clean Up, you can expect to see 42 packets, 32 plastic caps or lids and 225 plastic bottles or polystyrene pieces, amongst many other parts of plastic pollution that are washed up by the sea. Incredibly, half of the plastic that is destroying the ecosystem is created for single use. This could include plastic bottle, coffee cup lids and food packaging. With such a throwaway culture, only 5% of plastic is recovered from what is produced. Love a takeaway coffee? So, do 7 million other people in the UK. In just a single day, 7 million coffee cups are thrown away every single day. Many of these coffee cups are made from polystyrene complete with plastic lids. With hardly any coffee cups or lids being recycled or recyclable, the harmless morning coffee may be significantly damaging the environment. Regularly enjoy a coffee? Why not invest in a reusable coffee cup, your coffee shop may discount your coffee because of it too. Forgetting your reusable bag at the supermarket is easy to do. In fact, one million plastic bags are used worldwide every single minute. This means that 500 billion plastic bags are used across the globe each year. By remembering a cotton bag or shops using paper bags could significantly lessen the damage of plastic on the environment. The chemicals of plastic not only affect the environment, but they also affect our health too. In fact in tests for BPA which is a plastic chemical, 93% of Americans over the age of six tested positive for traces of the chemical found in the body. The absorption of plastic into the body can be damaging to health. While research is still ongoing it has been found that plastic compounds can alter hormones in humans. Named the Great Pacific Garbage Patch, there is a floating plastic mass that is considered the largest ocean garbage site in the world. The mass is collated from the North Pacific Gyre which is a circular tide that brings pollution together into one big mass of garbage. So far, it has reached an enormous size and is already twice the size of Texas. Despite being more eco-aware, consumers in the UK still only recycle one-third of their plastic packaging. Two-thirds of plastic packaging is taken to landfill while a small proportion is incinerated. With this in mind less than half of the plastic goods that are recyclable are actually recycled. Much of this wastage comes down to a lack of recycling provisions and not being sure whether a product can be recovered or not. As plastic enters the food chain and can cause damage to birds, such as birds getting stuck in plastic can holders has resulted in one million seabirds being killed every year from plastic in the ocean. Furthermore, 100,000 marine mammals are killed per year as a result of plastic in the water. Recycling plastic packaging can be an essential way to save money in the UK. By not recycling products it costs around £78 million a year for landfill costs. This money could certainly be better used by local authorities to provide other services. It can also save energy and new plastic production. At Ribble we want to do all we can to make packaging sustainable and as eco-friendly as possible. We use recycled material to create our cardboard for packaging solutions, we also make sure that our cardboard packaging is fully recyclable too. 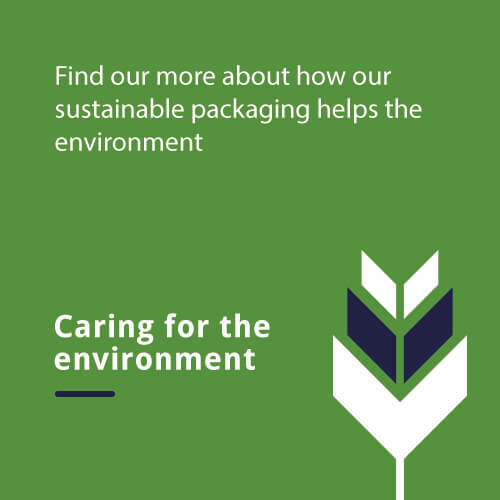 If you want to find out more about the Ribble commitment to the environment, and how we can help your business with eco-friendly packaging, get in touch by calling 0161 622 2302.